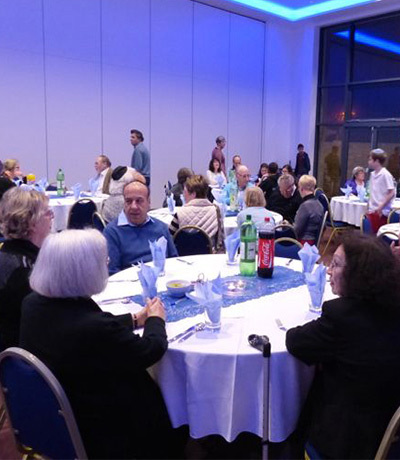 Why not celebrate a birthday, family gathering, Bar/Bat Mitzvah, Wedding or other special occasion in our modern, state-of-the-art facilities. 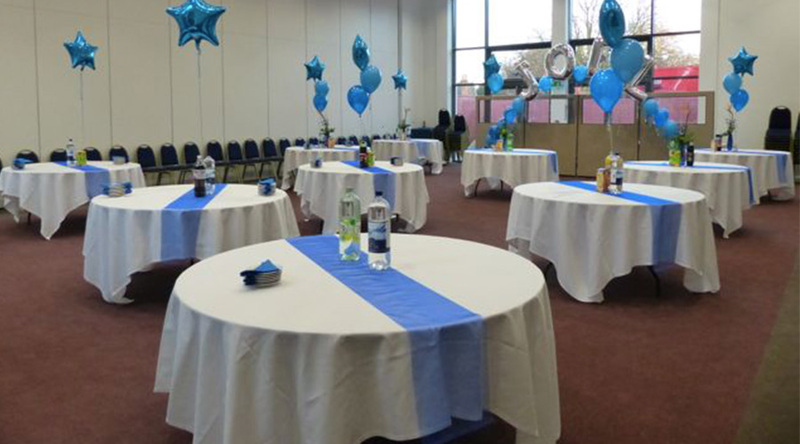 In our Jewish community centre, we have a number of rooms available to hire at reasonable prices. From a small, intimate meeting to a large event, one of our rooms will fit the bill. The building is fully accessible, with wide entryways and a lift to the first floor. For any catering requirements, from light refreshments to fully catered meals with silver service, please complete the form here.